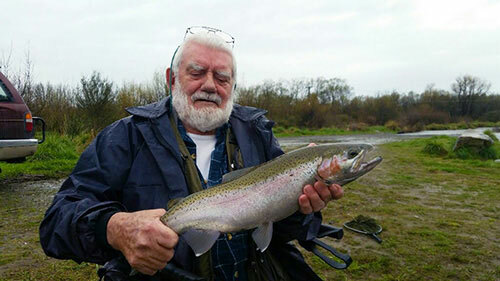 Bill Howe long time Turangi Fly fisherman holds a superb Rainbow Trout in wonderfull condition he caught while Trout Fishing in Turangi New Zealand. 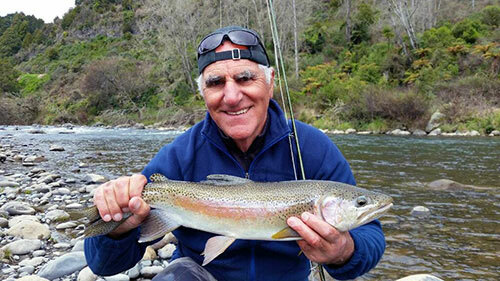 Rory Soloman from Queensland first time fly fishing in Turangi caught this great eating Hen Trout fresh run up the river from Lake Taupo. 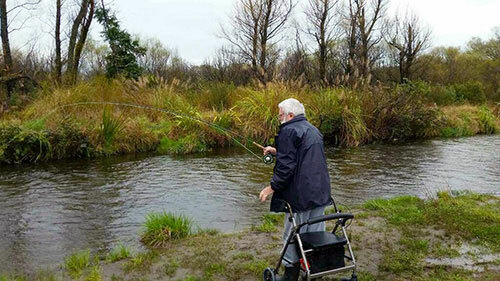 He stayed at Creel lodge in Turangi on the banks of the Tongariro river on his Trout fishing vaction in New Zealand. I wanted to say thanks for a top experience fly fishing. 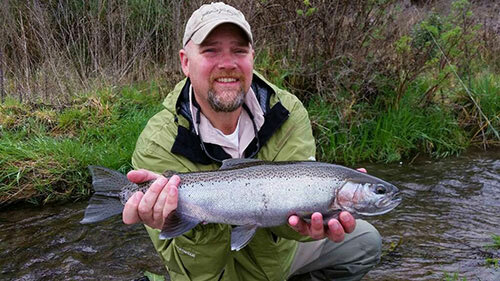 Your intimate knowledge of the stream and preparation really allowed me to have a great day on the river. I can't wait to come back and experience this area again. Thanks also for the tips and tricks you shared with me that I can take back to my home streams and use to be more successful. Such a great day, thanks again. Spring has certainly arrived here in Turangi with day tems up around 14 degree C. Bell Birds & Tuis in the Kowhai trees along the banks of the Tongariro river as they flower for the summer. 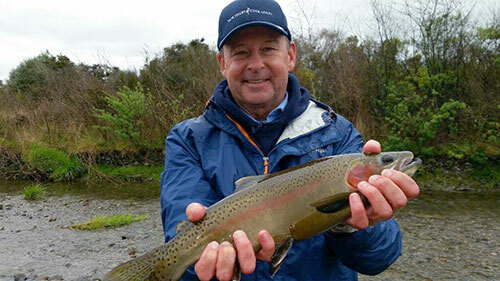 The Tongariro river and others rivers are fishing well and all holding nice Trout. 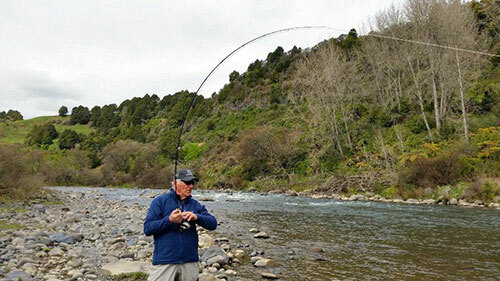 Overnight rain should have induced another pluse of fresh Trout up the rivers from Lake Taupo which is in perfect timing for the school holidays. We have noticed of few May Flies emerging on the hot sunny days this is pretty exciting for the summer Dry fly Fisherman to see. 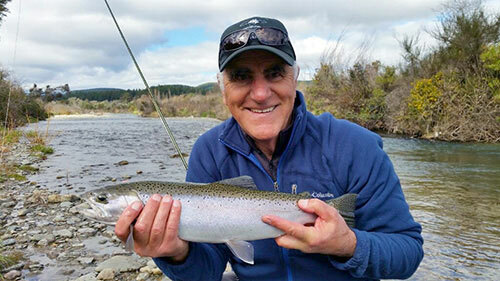 Some great fishing reports coming in from fisherman on Lake Taupo with nice fish being taken deep trolling and jigging. 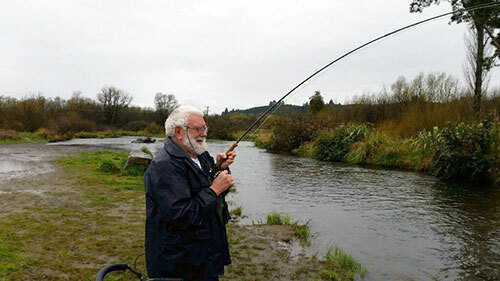 Stream mouth fishing on the eastern shores of Lake Taupo are fishing good late evening with reports of some nice Brown Trout been taken. The Emirates Airbus 380 takes me back home to Austria my mind however was still back in Turangi, the trout fishing capital of the world. 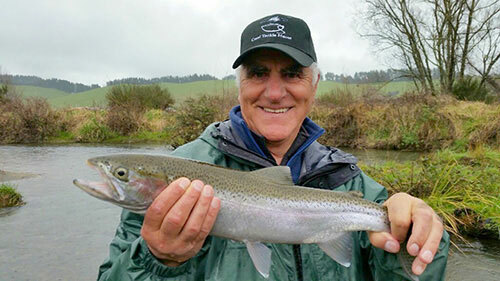 I have fished these rivers with Kenny Drummond 5 years ago, already then I realised the quality of his guiding. Kenny would go out of his way for me to have a great day every day on these world famous trout rivers. 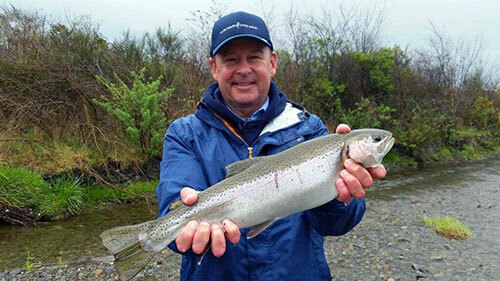 This years reports of big runs of spawning rainbows were not encouraging due to the lack of rain. My experience with Kenny on my side however was exceptional, every day we fished a different river finding plenty of trout on their way upstream to their spawning grounds. Kenny’s knowledge of the area is outstanding, his ability to read the water, telling me where to place my cast has impressed me deeply. Spectacular takes, followed by wild runs up and downstream, trout leaping out of the river, putting up a spectacular show was the reward. I landed plenty of wild trout and admired them for their beauty, I lost a lot due to my inexperience in drilling big fish in a different environment. Kenny would tap me on the shoulder, telling me calmly how to make it better the next time. He was truly inspiring as a teacher. Our relationship went far beyond the commercial purpose, he always had a plan, I always felt I was in the centre of Kenny’s attention. He helped me to fulfill my dream to catch wild trout in the most famous trout rivers in the world. I met him as my guide, he farewelled me as his friend! Thank,s Kenny, I will be back, next time when the dry flies are on!